Being a small-to-medium sized online business is not easy. You often have to compete with national and international e-commerce organizations with better resources and more manpower. As the online retail sector grows, smaller entities must stay at the top of their game if they are going to remain relevant and competitive. Although many small online companies may not think that technology associated with machine learning and AI applies to them, the truth is that it can make a remarkable difference in the overall success and efficiency of the business. This is why 72% of retailers are going to start investing in machine learning over the next few years because of the numerous advantages it offers brands. But, before you can decide to allocate large amounts of funds and team effort into machine learning technology, they must first understand exactly what it is and what it can do. What Exactly Is Machine Learning? Essentially, machine learning tries to apply the human ability to learn, change, and improve technology. Computer systems and algorithms take in loads of data which are then observed and analyzed until the system determines the best approach to reach a specific goal. One simple way to understand machine learning is to compare it to driving to a new job. The first day, you follow the default route on your GPS. While it gets you from point A to point B, you hit tons of rush hour traffic, and you think that there must be a better way. The next day you try a shortcut, but it adds on ten minutes to your commute, so next time, you try leaving ten minutes earlier and try another shortcut. You continue this experiment until you find the best way to get to your job on time while avoiding any issues like traffic or construction. Computer systems are now taking this trial and error approach to programs in order to find the best strategies. Even the smallest online business can take advantage of this technology because it is easily applicable to their biggest and most important strategies. How to Use Machine Learning. Finding Hidden Customer Behavior Patterns. Getting into the mind of your customers is often a top priority for businesses because it is essential for sales and marketing success. If you don’t understand what your customers want, what drives them to convert, or what issues drive them away. Machine learning systems can provide your team with accurate and comprehensive audience analysis because it is able to identify patterns and arrive to conclusions. Essentially, there are three main categories in which machine learning qualifies customer data. Through unsupervised learning (which is unlabeled and uncategorized data sets), these systems can structure consumer data into meaningful strategies, like recommendation systems or targeted marketing. Supervised learning organizes data into predictive analysis for forecasting and strategies. Finally, it can guide teams to better decision making through reinforcement learning – which determines the best actions to take for a desirable outcome. Machine learning is incredibly important for e-commerce SEO because it is now being used to determine result rankings. Google famously introduced its RankBrain algorithm update several years ago, and it has been using machine learning ever since to make it more sophisticated and smarter. This is a total game changer in SEO because it can ensure that customers are receiving the best possible experience with a website. Google’s algorithm uses AI to identify signals from a website that determine its UX, such as click-through rates, internal linking, review signals, and keyword frequency. Your e-commerce site can use machine learning, too, to optimize its webpages and conduct tests to determine the best structure to improve these signals for better result rankings. Offering personalized experiences can be an incredible competitive advantage for small brands that want to compete with big names in their niche. Tailoring your products, services, or website for your customers is a highly effective way to prompt conversions. 91% of consumers agree that they are more likely to buy from a brand that offers customized experiences. Creating personalized content for each customer was once a nearly impossible task that required loads of consumer data to be analyzed and a big effort to transform it into actions. But now machine learning systems can do this nearly automatically, once they are able to gather enough behavioral data to be transformed into content. For instance, an e-commerce site can use machine learning to determine what a specific consumer’s position along the buyer’s journey may be based on their interactions with your website or social profiles. That customer’s experience can then be personalized by displaying relevant content that speaks directly to them. From an overall perspective, this information can be used to answer common questions for future customers that others in that same stage had. This is common practice with chatbots. In terms of personalization, one of the most effective methods that leads to higher conversions is offering customized product recommendations. This is the perfect opportunity for e-commerce retailers to upsell and cross-sell items that are relevant to an already-engaged customer based on previous behavior. We see this all the time when shopping on Amazon. Another brand that’s doing an exceptional job of this is The North Face. They went as far as creating a personal shopper on their website who asks customers a few simple questions in order to send them personalized product recommendations based on their preferences and needs. The North Face does this by using an AI-powered system that analyzes customer datasets to offer the best products based on a specific person’s situation. While data security may not be the first benefit that pops into your mind when you think about machine learning, this technology can actually make your website far safer for both you and your customers. Because of its capability to analyze large amounts of data in a short period of time, it can also detect security breaches or warning signs of a potential hack before it occurs. Since e-commerce sites are dealing with sensitive, private financial information on a daily basis, it is extremely important that customers feel confident to share this to make a purchase. By using machine learning security systems, your online store can assure customers that their data is safe from hacking and breaches. Machine learning can also use behavioral data patterns to detect any unusual activity that could signal fraudulence. The proper admin can then be alerted about this suspicious behavior and take action immediately before any damage is done, keeping businesses safe from deceptive behavior that could wreak havoc on their brand. Staying competitive in the e-commerce and online selling industry is a huge challenge for small businesses. However, using cutting-edge technology such as machine learning can guide your team towards smarter strategies that will keep your business in better standings. Machine learning makes it far easier for brands to understand exactly how to please their customers and provide the kinds of experiences that drive more conversions. 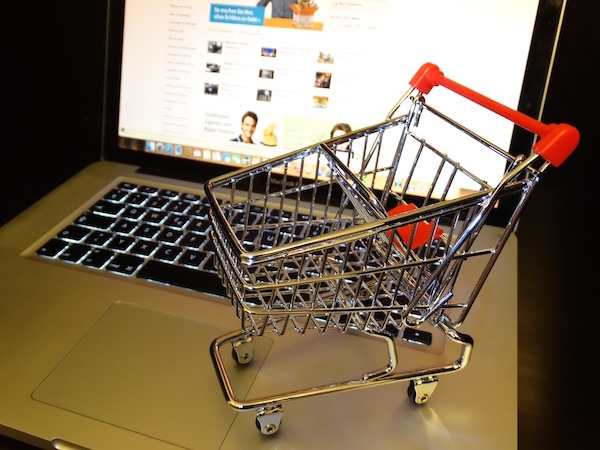 The e-commerce industry is growing quickly and things are changing by the minute. Keeping up can be difficult for smaller brands, but machine learning can be a crucial ingredient to staying in the loop. 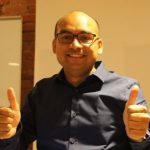 Manish Dudharejia is the President and Founder of E2M Solutions Inc, a San Diego Based Digital Agency that specializes in Website Design & Development and eCommerce SEO. With over 10 years of experience in the Technology and Digital Marketing industry, Manish is passionate about helping online businesses to take their branding to the next level.